rules in the 1970s again came to the fore on New Zealand’s tour of Australia. Mick Stephenson, therefore lessening the appeal of the Test matches. embarked on the Queensland leg. 18-year-old Innisfail winger, Kerry Boustead scoring two tries for the locals. 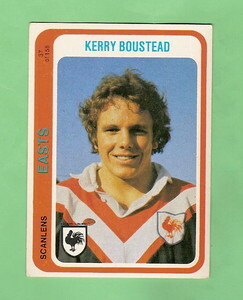 Boustead and fellow winger, Neville Glover scored two tries each. I was at the game at the Townsville Reserve where Boustead scored the two tries. His pace and use of the sideline were amazing. For a young man of small stature he also gave the Kiwis plenty of lip which made the game interesting. I’ve still got this game program in a box somewhere.